Hello. As an 8th grade American History teacher much of the curriculum I teach is guided by my state grade level expectations. In Missouri a majority of the 8th grade social studies grade level expectations focus on American History but there are several economic components as well. It has always been a task to find interesting and engaging activities that combine economics and my primary content area. 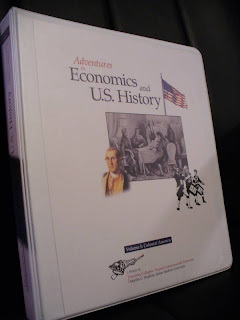 Last year I discovered "Adventures in Economics and U.S. History" by Suzanne Gallagher and Martha C. Hopkins. This resource has two volumes - Volume I is Colonial America and Volume 2 is A Young Nation - with a total of 31 ready to use classroom activities. These activites are designed with the teacher in mind and easy to incorporate with blackline masters, listings of economic concepts discussed and step by step directions. Earlier this year we used a lesson named "A Colonial Marketplace" which had my students moving around the room, bartering and using colonial currency in a scene similar to a colonial town square on market day. It was a great activity which addressed several of our required economic standards and the students had a blast. This podcast is an interview with Suzanne Gallagher about the economic activites and resources she created. Be sure to check out the show notes below for information about this resource, sample lesson plans and other activities for teaching economics to various grade levels. 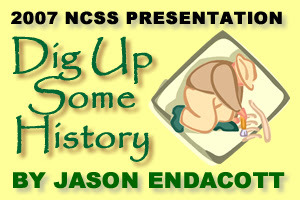 Podcast #62 - Jason Endacott's 2007 NCSS Presentation "Dig Up Some History"
Hello. 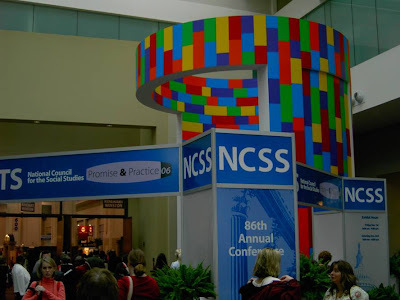 There were some great presentations last month in Washington DC at the NCSS Conference. Some of the sessions were so full that the doors were closed and no one else was allowed in to hear the presentation. This is sad since many of us traveled from all over the United States to attend the conference. When I attended a session at the NCSS conference I asked the presenter before hand if I could record the presentation with my portable MP3 player but would not publish it without asking for permission first. One of the best presentations that I saw was from Jason Endacott of New Mark Middle School in North Kansas City. (Go figure - I travel half way across the country to listen to a teacher that lives about 15 miles from where I live!). His presentation - "Dig Up Some History" - discussed how he has used archaeology in this middle school social studies class. He gives some excellent examples and has a very engaging presentation. I contacted Jason and he has given me permission to post his presentation on the podcast. Since the presentation was roughly 60 minutes long I have split the presentation into 3 podcasts - #62A, #62B and #62C. Each one is about 20 minutes in length. Jason has also allowed me to post PDF files of his handouts from the conference. Check out the show notes below to gain access to this handouts. Thanks so much to Jason for allowing me to share his presentation. It is my hope that those not attending the session in person can learn as much as I did in person. If you have any comments about this podcast you can leave a comment on the blog post or e-mail me at speakingofhistory@gmail.com. If you have a question for Jason please use his e-mail link provided in the show notes. Hello. This past summer my wife and I spent some time in Alexandria, Virginia during our trip to Washington, DC. Alexandria is an incredible old town where you can walk the same streets that George Washington did and gaze upon the same buildings that saw the Revolutionary War and Civil War. We had heard of a ghost tour in Alexandria, found it online and made reservations. It was a great way to spend a June evening. The tour was really as much about history as it was ghosts. After the tour we interviewed our guide - Susanna. We would highly reccommend making plans for a ghost tour if you visit Alexandria. Check out their web site in the show notes below and if you're a teacher taking a group of students to the DC area keep them in mind for a field trip your students won't forget. Hello. 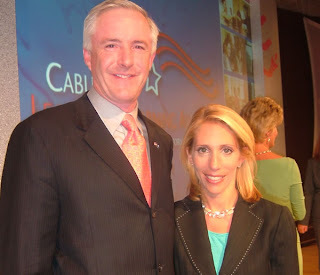 This summer while attending the 2006 Cable's Leaders In Learning Awards in Washington DC I had the pleasure of meeting Connecticut State Senator Bill Finch - the winner of an award in the policy maker category. Senator Finch has an incredible project named the "Who Wants to Change the World" Contest. High school students think of an idea they would like to see passed into law. The student writes an essay about the proposed law and the student with the best idea has the opportunity to testify before the state senate with the potential of seeing their idea passed into law. Several student proposed bills have been passed into law. Over the past five years winning essays have included bills to regulate smoking in public areas, veterans day activities in schools, official recognition of Muslim holidays in the state of Connecticut and protecting children from drunk driving. This is a great project that could be replicated by teachers and politicans in other states. The podcast includes a short interview with Senator Finch at the Leaders in Learning activities in Washington DC this past summer. Be sure to check out the show notes below for links to Senator Finch's official page and a special page dedicated to the Who Wants to Change the World Contest and examples of some winning essays. Also check out the link for a podcast with Senator Finch created by Doug Levin of Cable in the Classroom for additional infomation. You can leave a comment on this blog post or e-mail me at speakingofhistory@gmail.com. We welcome any comments or questions about the podcast. Hello. We got about 4 or 5 inches of snow last night and it was just perfect for building a snowman so I thought I would share a picture of the snowman I made with the help of my 3 year old daughter this morning. I had to think on my feet when we finished and she said she was waiting for the snowman to start talking to her - just like Frosty! Note the History Channel hat! If I was more artistic I would have tried to make it look more like Abraham Lincoln or George Washington! Hello. 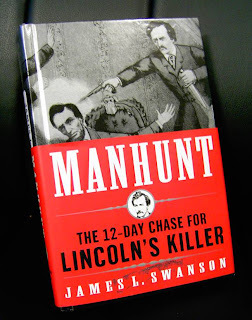 Today I'm reviewing a great book that I recently finished : Manhunt - The 12 Day Chase for Lincoln's Killer by James L. Swanson. I picked up a copy of this book at the NCSS Conference in Washington DC at the start of December and finished it over Christmas break. I've had an interest in Lincoln's assassination since childhood and found this book to be facinating. A great description of the assassination itself and then the amazing 12 day chase that follows. I thought the book had tremendous detail and several nights over break I found it difficult to put down. Very interesting insight to one of the most tragic events in American history and changed the course of our nation. I would highly reccomend this book to any historian or history teacher. Check out more about my impressions of the book in the podcast and the show notes listed below. If you have alos read this book we'd love to hear what you thought - leave a comment to this post or e-mail me at speakingofhistory@gmail.com. Hello. 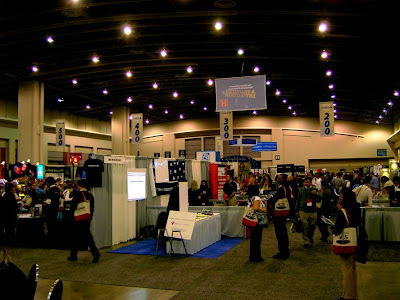 Today's podcast is a summary of the sessions I attended last month at the 2006 National Council for the Social Studies (NCSS) Conference in Washington, DC - December 1-3, 2006. It was a great conference and great place to share ideas, recharge the batteries and meet new people. The podcast gives a general overview of the sessions I attended and below is a listing of the presentations, presenters, and when possible a link for contact information. "Beyond PowerPoint: Integrating Technology into Social Studies Method Courses"
"Blogs, Podcasts and Wikis - Social Software For Social Studies Teachers"
"Gaming Technology in History Education"
"Securing the Promise of Liberty - Showcasing Grades 7-12 Lesson Plans from the Abraham Lincoln Bicentenial Commisson"
"Wingdings, Extravaganzas and Shindings - If You Plan Them Families Will Come"
"Pop Culture - A Sweet Tool for Motivating Middle School Students"
Hello. I had to post this picture - it cracks me up every time I see it in the local Godfather's Pizza place in Liberty. Our area has quite a few Jesse James landmarks. 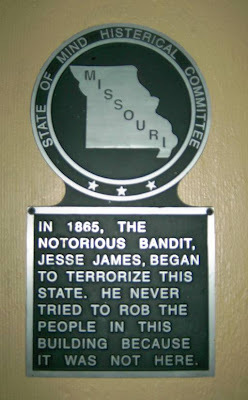 The location of the first daylight bank robbery in the history of the United States is a bank on our town square that still stands today and is currently the Jesse James Bank Museum. The sign is posted on the wall next to the pizza buffet and every time I'm there to eat I tell myselft that I should take a picture - so I did last time. I asked the owner about it and he said he couldn't remember exactly here he bought it - somewhere in Missouri. He's had it up for several years. Funny stuff. Hello. Catching up on some podcasts over Christmas break. 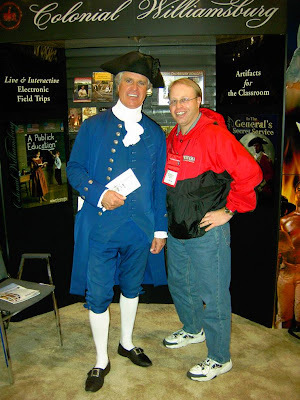 About a month ago I was fortunate enough to attend the 2007 National Council of the Social Studies (NCSS) Conference in Washington DC. It was a great time - catching up with old friends, meeting new ones, discussing curriculum with your peers and discovering some awesome new ideas. Washington DC is also an excellent choice for any gathering of social studies teachers so there were also some great opportunities to see a couple of sites. I will discuss some specific sessions that I attended in the next podcast. Next year the convention moves to San Diego - another excellent conference site. I had a great time at NECC in San Diego this past summer. NCSS is currently taking proposals for presentations at the 2007 conference in San Diego. Hello. It's Christmas break and a great time to catch up on some odds and ends. Today's podcast is a mixture of things that are happening in my classroom, updates on some classroom projects, the online graduate class I teach and some work with the History Channel. Recorded in my hometown of Howells, Nebraska where my parents just got high speed Internet after years of dail up! Yippppppie! Note: This podcast was recorded in the dark during a poweroutage ofter an ice storm.